The S-4 Class was commissioned to lead the expansion into the galactic trailing arm. To accomplish its mission, this class needed speed and maneuverability; it is reported that these sleek ships were a real joy to fly in the atmosphere due to their responsive manual controls. Its light armament was a liability, making the vessels unsuitable for combat roles and endangering crews when exploring new worlds with their own starfaring capabilities. Due to its inability to perform its assigned tasks, the Swift Wings were not produced in any great number and were not modified or upgraded. Of the approximately 160 vessels produced, about 100 are known to be operating in the civil sector, many within the Triangle. Project Grey Ghost found no evidence of any use in the Romulan reserve fleets. 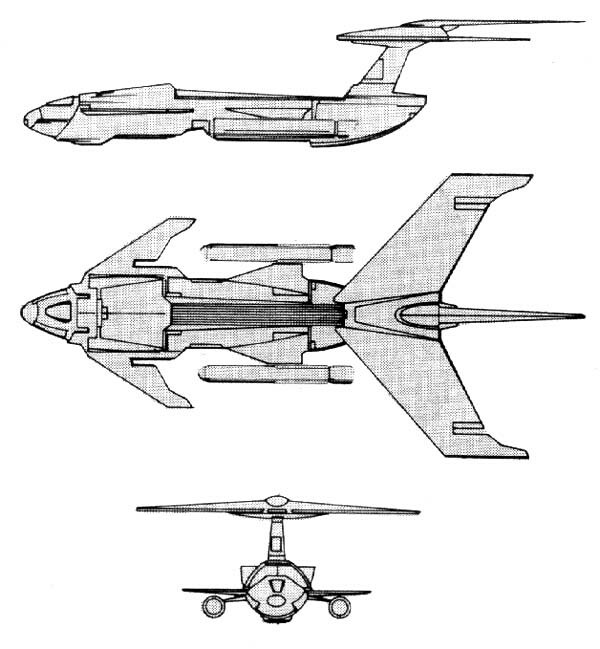 The class is named from the RomuIan delon vastam (swift wing), in reference to its atmospheric capabilities. Power Units Available – 10 ea.